Mother Nature certainly has a mind of her own and the only thing we are able to do about it is prepare for the worst. We can look at forecasts and have a disaster plan, but weather is mostly a waiting game. California is a trouble spot in the world of natural disasters - earthquakes, forest fires, mud slides... the list goes on for a while. 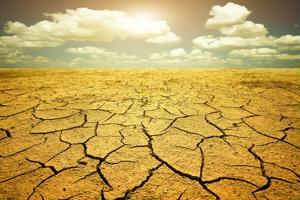 The most prevalent problem in recent years has been drought. This is a long-standing issue that could very well disrupt how California procures certain raw materials and the cost of those materials on the market. Obviously, what the state is missing is water, and lots of it. California is no stranger to dry weather and has experienced droughts and water bans in the past, but this year has been especially trying. According to The New York Times, December 2014 had promising amounts of rain but the hope for a respite from the dryness and heat was short-lived come January. The rains that usually fall between December and April sustain the reservoirs and the state's water supply, but so far the sunny skies are a foreboding omen for farmers and residents aching for rain. Not only has California not been getting the rain it needs, the Golden State has been especially golden this year. Record-high temperatures in Southern California, stated the Times, are depleting the already dry soil of all moisture. Thanks to the lethal combination of scorching sun and the sky's refusal of rain, there are stringent water bans in place that have led to crimes such as water theft. Multiple sources even noted that, should these intense conditions continue, California only has about one year's worth of its water reserves. What is this going to do to trade and the supplies that we rely on California to provide? Droughts are not new to the West Coast, but never before have the circumstances been this bad. In the past, California has relied on the spring El Niños coming off the Pacific Ocean to temper heat and bring moisture. In 2014, it was suspected that California would experience a huge El Niño and rain would soak the sun-scorched soil. Unfortunately, the weather event seemed to fizzle out and, according to Vox, the conditions in the atmosphere weren't strong enough to cause the pressure for rain. In early March 2015, the Climate Prediction Center announced that an El Niño was forming in the Pacific, noted Vox. However, this might be a case of "too little, too late" for California. Based on past data, the average temperature for the year will be higher than in non-El Niño years. This does not bode well for California's trade market or its residents. It seems that 2015 will be another dry, hot year with chaos right around the corner. California's outsourcing framework is in trouble. The California Department of Food and Agriculture noted that the state's top commodit​ies of 2013 included milk, almonds, grapes and strawberries. The culture that we've set up for ourselves means we have access to products that are otherwise out of season in our region of the country or the world. California's economy is likely to take a hit, both exporting and sourcing, unless we can find a solution that can suit our needs or alter our "needs" entirely. Procurement of these resources and many others will still remain a priority for some companies. It's important that we take care of the Earth that these materials came out of, and people are already taking steps to ensure the future of the industry and the economy.